With plastic surgery reaching its 100th birthday, and figures published by the International Society of Aesthetic Plastic Surgery showing that 20 million procedures were carried out around the world only last year, it is no surprise that we no longer appear to be shocked by the idea of tweaking our appearance. We are constantly bombarded with pictures in magazines of slim models and men with lean physiques and over the years this is bound to have an effect on our psyches and indeed the way we see our bodies. Cosmetic surgery is a popular choice to alter something that we are not happy with, or if we’re struggling to obtain that perfect bikini body. 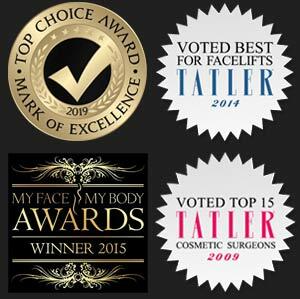 With some of the most popular procedures including breast augmentation, face or neck lift and rhinoplasty, we can see that people are striving for that perfect look we see so often on runways, television shows or in magazines. Why has cosmetic surgery become so popular? With constant developments in the medical world, surgeons and doctors are able to perform many more types of procedures than in the past. There is an ever-increasing amount of information available and acclaimed surgeons opening clinics, particularly in London, perhaps making cosmetic surgery more accessible and more acceptable. 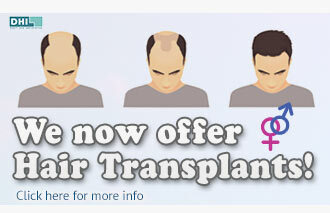 These advances also mean that cosmetic surgery has become safer and therefore more desirable. Despite this, the choice to undergo cosmetic surgery is one not taken lightly and often patients will carry out research to find the most suited clinic or surgeon to make them look how they think they ought to, with many people turning to the capital of the UK for their answer. London is one of the most vibrant and exciting cities in the country, boasting a huge and growing mix of young and distinguished professionals. A city filled with never-ending opportunities, most magazines, newspapers, TV studios and modelling companies are based in London, putting more pressure than ever before on appearance. Anyone wishing to break into the modelling industry or wanting to work on a television programme will no doubt feel compelled to look their best. London has built itself a reputation of professionalism and competence, with world class hospitals and clinics carrying out successful procedures on a daily basis. For this reason, people flock to the cosmetic surgery capital of the UK, London, to find a trustworthy clinic. Whatever you do once you have decided to undergo cosmetic surgery, ensure you choose an establishment that have fully trained and qualified staff.